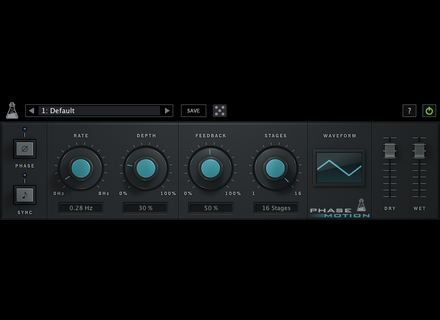 Phase Motion, Software Phaser from AudioThing. Product replaced by the AudioThing Phase Motion 2. Phase Motion, the new VST, AU and AAX plug-in from AudioThing, is a multiple stage phaser that can be modulated with an LFO.